Our team of photographers is comprised of adventurous storytellers who wish to capture those honest, real wedding moments so you can treasure them forever. We understand that each couple is different and we put your needs and wants before all else. Our aim is to make your perfect Westbury Manor Wedding memories last for years to come. Westbury Manor was given life during the 1880s. In 1910, the home was sold and moved from the north to the south end of Jericho Pike.  Today Westbury Manor is a popular wedding venue, and brides and grooms come from all over the northeast to celebrate their special day there. You can make the 5-acre manor your own for the most important day of your life because Westbury Manor only hosts one wedding at a time, so there’s no need to rush your event. Their elegant surroundings and attention to detail will make your wedding a dream come true. The breathtaking landscaped gardens provide the perfect backdrop to your celebrations and will provide a wonderful setting for your wedding photos. Invite your guests for cocktails served in the glass-enclosed conservatory. This English-style glasshouse was imported from London. You can also entertain on the expansive garden-style patio area. The Manor Room has an air of sophistication flowing throughout thanks to its rich wood accents, high-vaulted ceilings, and spacious hardwood dancefloor. You can rest assured that the Westbury’s cuisine is made to the highest quality, using fresh ingredients. Their chefs prepare a signature blend of continental dishes with a foundation is classical Italian techniques and recipes. All menu items are prepared “al minuto.” That means their food is prepared exactly to your specifications and will exceed your expectations in every way. The Manor Room: This space holds up to 300 guests. It opens onto a beautiful garden where colorful peacocks roam. It has a hardwood dancefloor and built-in bar. The Garden Room: This 1,928 square feet luxurious space boasts mahogany paneled walls, classic upholstery, and plaster reliefs which lend the room an ambiance of days gone by. The Hill Room: The Hill Room can accommodate between 40 and 100 guests and is perfect for a more intimate reception. The Library: The Westbury’s charming library is the perfect space for your intimate cocktail party. Amid the plush sofas and elegant area rugs, you can share some intimate moments with your friends and family. Photo studio: Westbury has designed this room especially for creating those intimate photo shots on your special day. From the roaring fireplace o the luxurious chaise lounge, this elegant sitting room provides several stylish photo opportunities. When we photograph a wedding, our number one priority is to make sure that you feel comfortable. We would like to get to know you better, so call us today and let’s book a time to meet.